Tinder App is nothing new for anybody since most of us slowly accepted it in our lives but it also brings some displeasure. For instance, this guy thought that it can automate the process in the way of an app that decides if you’d like a person and start a conversation. 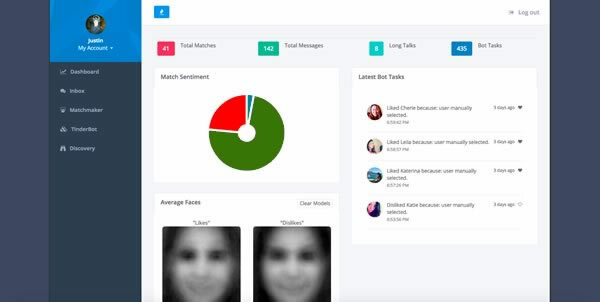 This entry was posted in Data & Research and tagged analysis, analytics, artificial intelligence, data analysis, data science, eigenface, StanfordNPL, tinder, tinderbox, web scraping on February 16, 2015 by Bogdan Balcan.